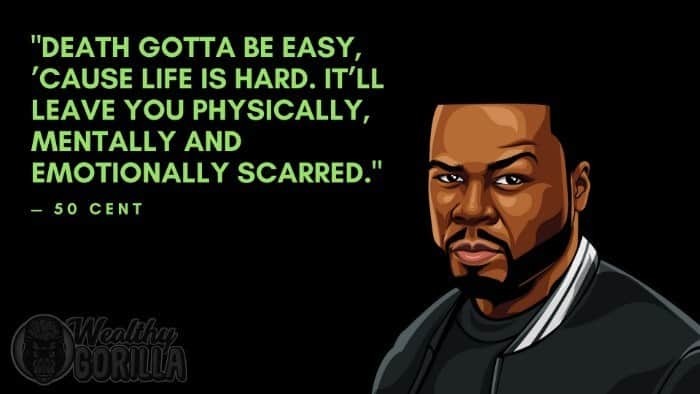 50 Cent (Curtis Jackson) is an American rapper, producer, actor, and entrepreneur, from New York. 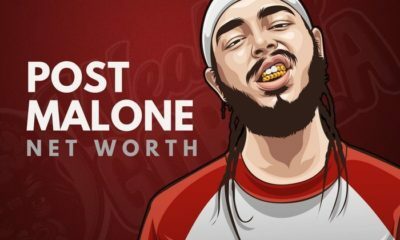 He is one of the richest rappers in the world, despite the news stories on the lawsuit that’s been filed against him, and the decision to file for bankruptcy. This decision is believed to be purely to try and get himself out of paying millions of dollars. 50 Cent’s net worth is estimated to be $30 million, which is a huge drop from last year, when his net worth was declared at $150 million by Forbes. Curtis “50 Cent” Jackson was born in Queens, New York, on the 6th July, 1975. He was raised single handily by his mother Sabrina, who was a drug dealer. When she passed away, he moved to live with his grandparents. Jackson was only 12 when he began selling drugs. He would go out into the streets and spend time slinging narcotics whilst his grandmother though he was participating in after school programs. 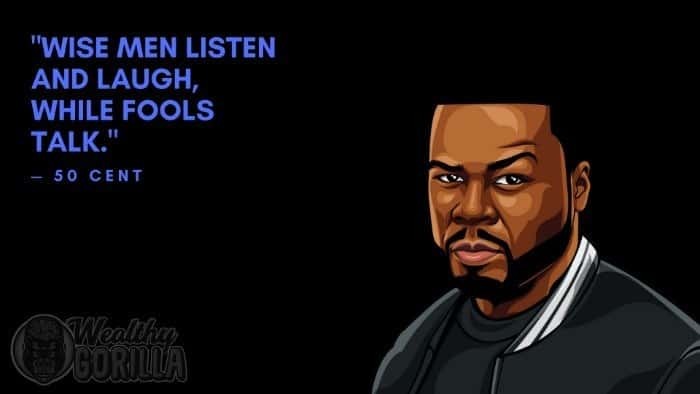 50’s been arrested multiple times; the first being when he made the mistake of bringing drugs, drug money and his gun into school. The school’s metal detectors caught him out. Jackson was arrested twice more; once for selling cocaine to an undercover police officer, and the second illegal substances and a firearm in his home. 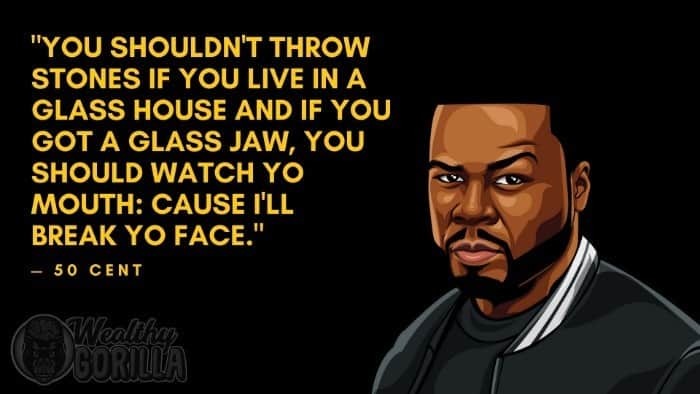 50 Cent began rapping in his basement, and was taught by Jam Master Jay, on how to write songs, structure bars and create choruses etc. His first ever feature was within the album ‘Shut ‘em Down’ by Onyx. Jackson was signed to Columbia Records in 1999, and a year later he released his debut album, ‘Power of the Dollar’. 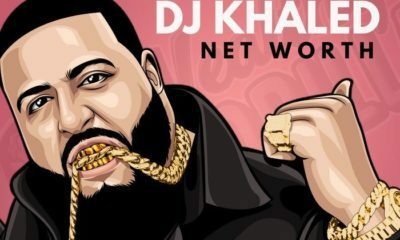 One of his big breakthroughs came when he released the single “How to Rob”, which gained the attention of the likes of Jay-Z, DMX and other major artists at the time. In the same year of his album’s release, Jackson was targeted by an assailant outside his house, and shot nine times. With multiple injuries, which could have easily killed him, after 6 months he was healed, and start to think that he might have a true purpose as to why he’s alive. 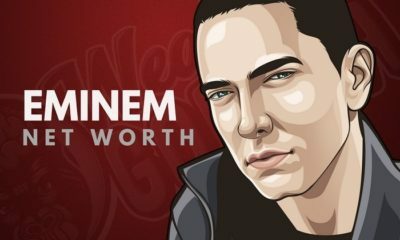 Eminem discovered 50 Cent in the early 2000’s, and since then he’s released multiple albums; and also earned a great deal of money as an entrepreneur. 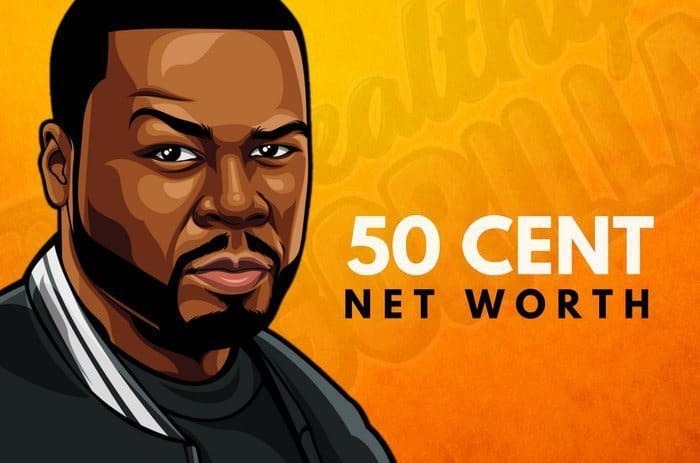 What is 50 Cent’s net worth? As of 2019, 50 Cent’s net worth is estimated at $30 million dollars. 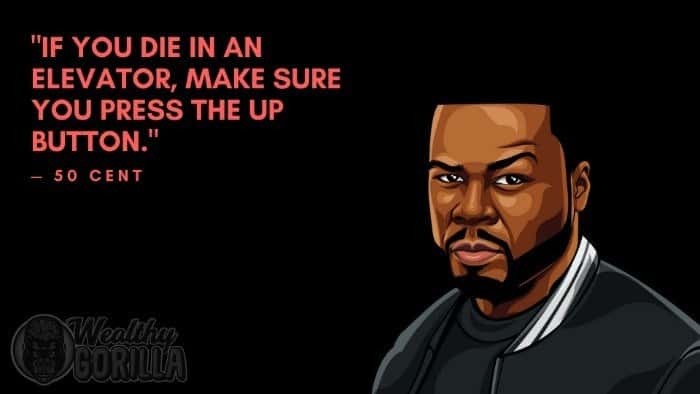 View our larger collection of the best 50 Cent quotes! Hard work is obviously one of the most important components for success, regardless of what it is you want to achieve. If you’re not putting in hard work, you’re not going to become successful. 50 Cent once said that “sleep is for those people who are broke, I don’t sleep”. He works hard, and he’s not going to let himself be beaten by somebody else, just because he was slacking. By ‘trimming the fat’, I’m talking about removing the negative and un-supportive people from your life. These people will cost you your success if you let them get into your head, and start controlling your life. 50’s trimmed his fair share of fat during his lifetime. Particularly when it comes to the rap game, you need to make sure you have no fear. People wrote ‘diss tracks’ to try and through Jackson of his game, including Jay-Z at one point in time. However, he saw it as positive publicity, and was still focused on where we wanted to go. I think the things you go through make you who you are. So I don’t regret those things. I don’t regret ’em because I don’t think I’d be who I am today. If I wasn’t exposed to those situations, if you asked me what I, Those are unfortunate situations that I’ve had to experience. That’s a special kind of high that you’d get addicted to and you’ll chase it for the rest of your actual career. When you feel that feeling whether it’s your first album, second album, third album, just a single. 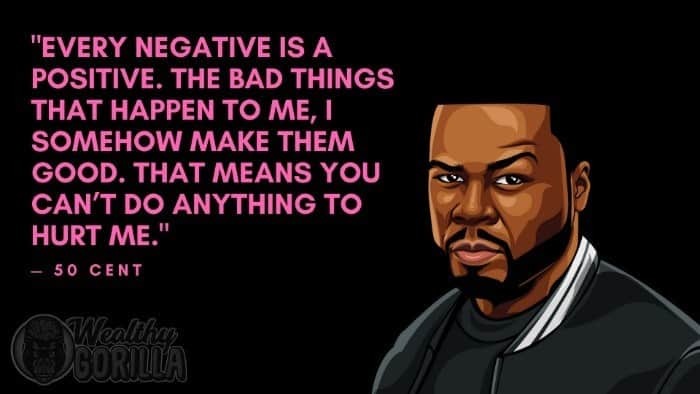 View our larger collection of success lessons from 50 Cent! Despite the lawsuit and file for bankruptcy, 50 Cent’s net worth is still believed to be $30 million. 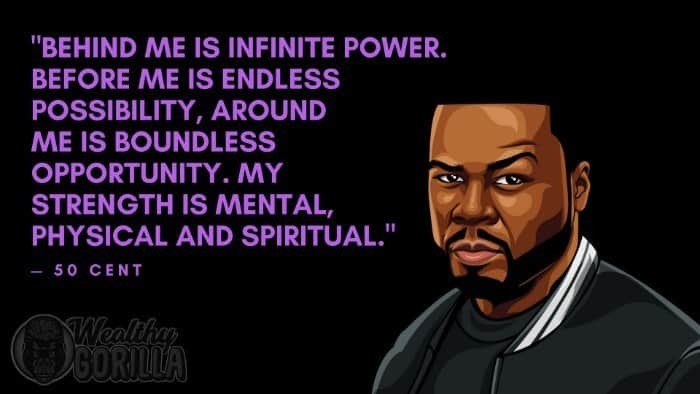 He is one of the most influential hip-hop artists of all time, and is also a very wise and successful entrepreneur. 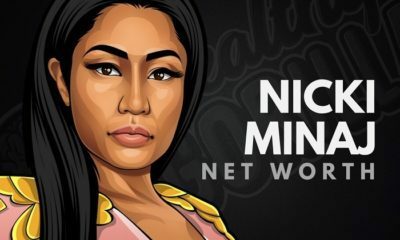 Aside from the artists listed above, 50 Cent has also worked with Dr. Dre, 6IX9INE, and many other famous rappers. 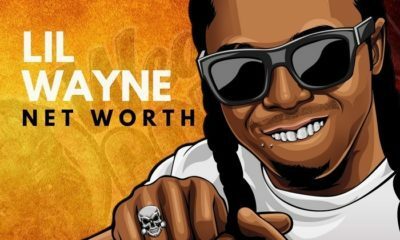 What do you think about 50 Cent’s net worth? Leave a comment below. 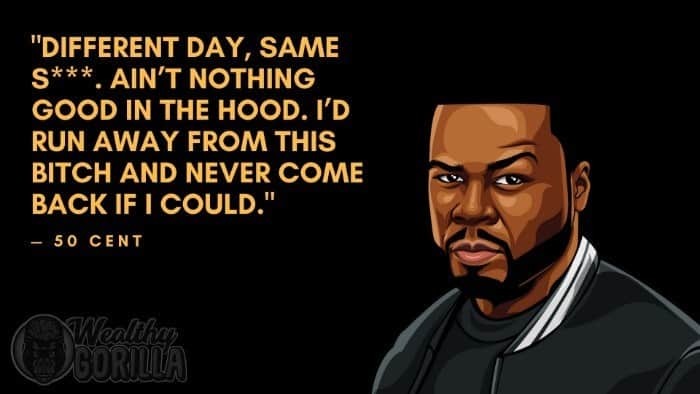 50 has incredible talent and is a real hustler . No one hustles harder.